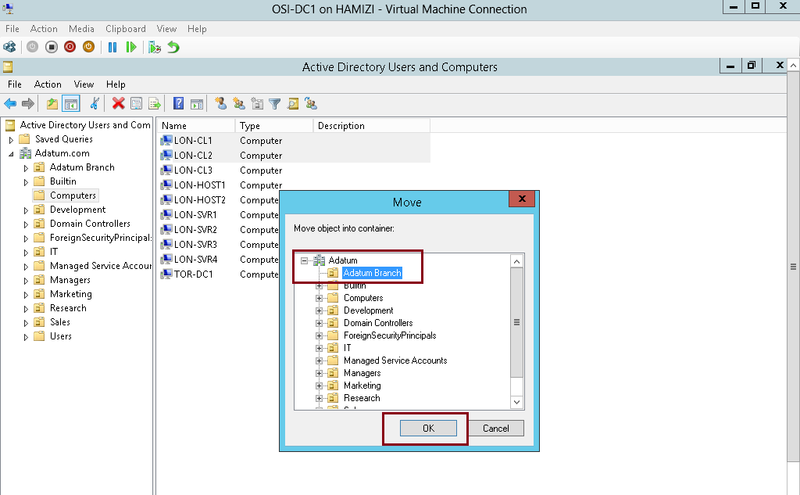 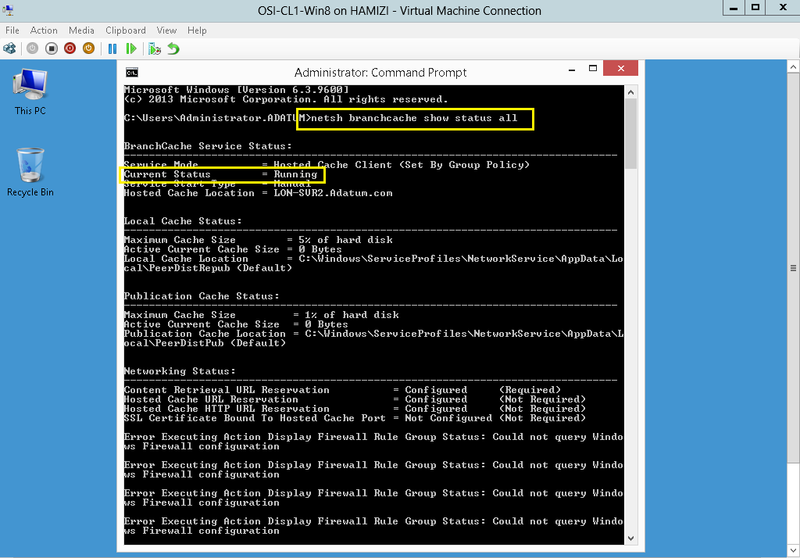 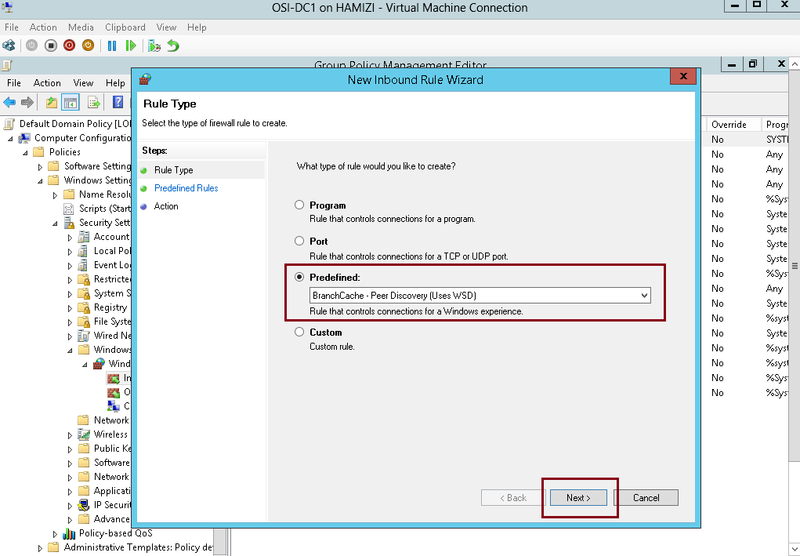 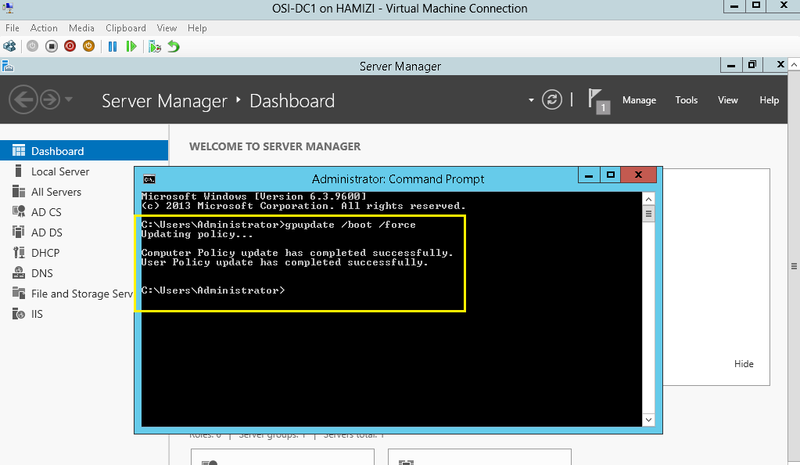 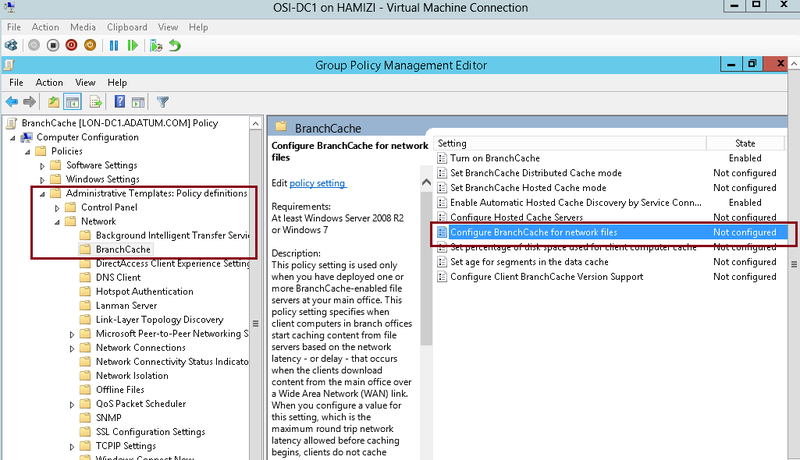 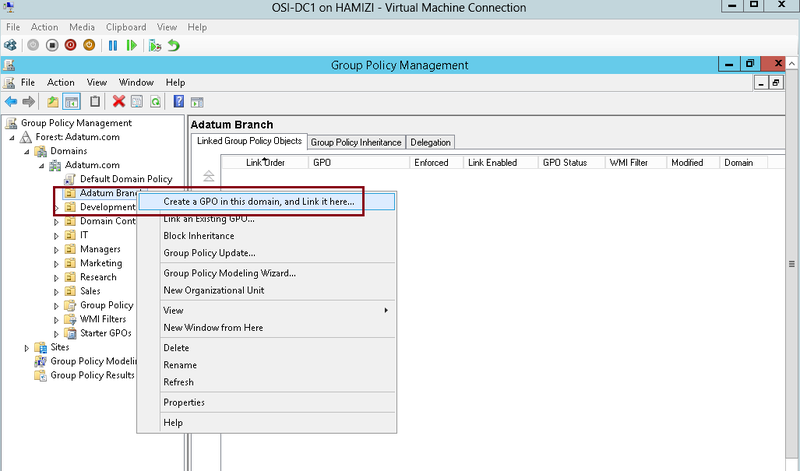 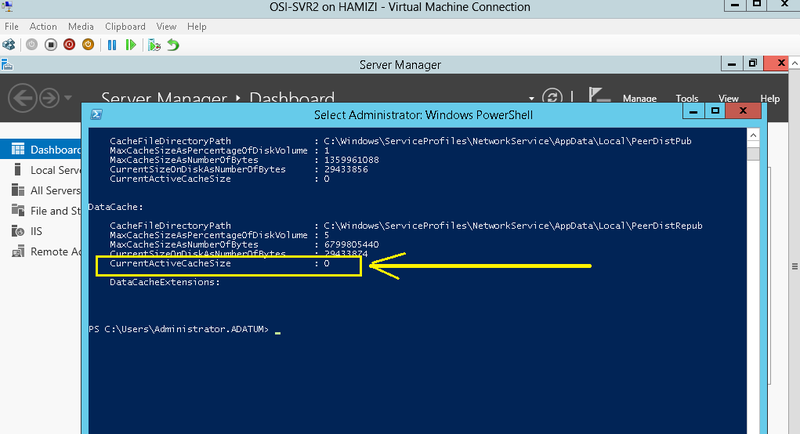 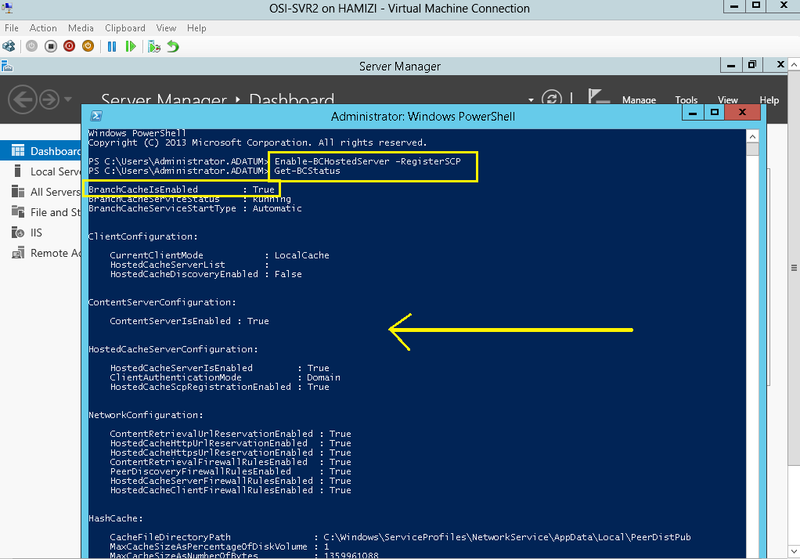 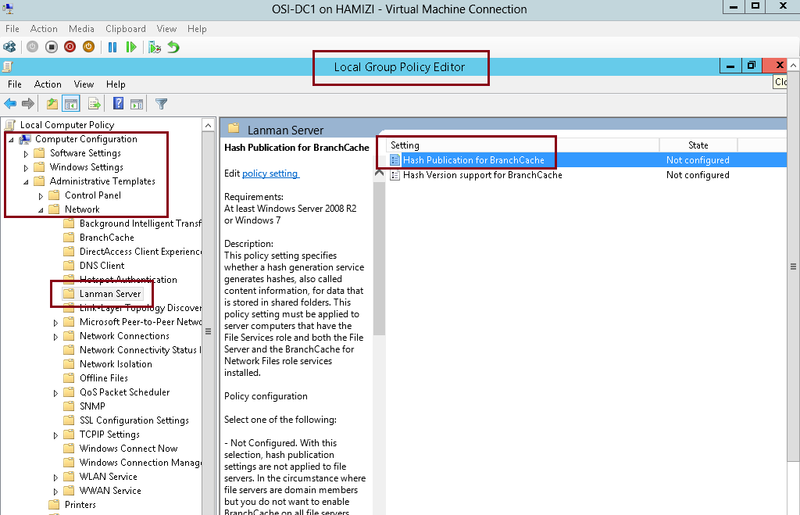 Step by Step : Deploy & Configure BranchCache in Windows Server 2012 R2 | Just a random "Microsoft Server / Client Tech" info.. 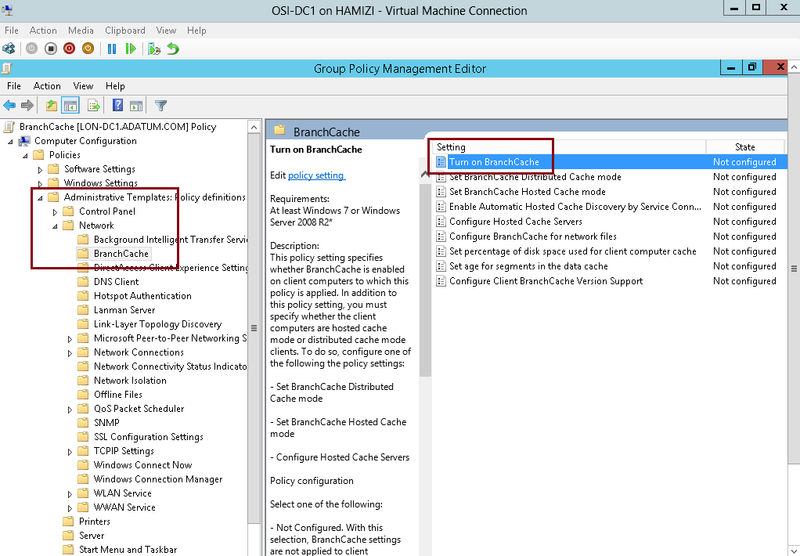 Branch offices have unique management challenges. 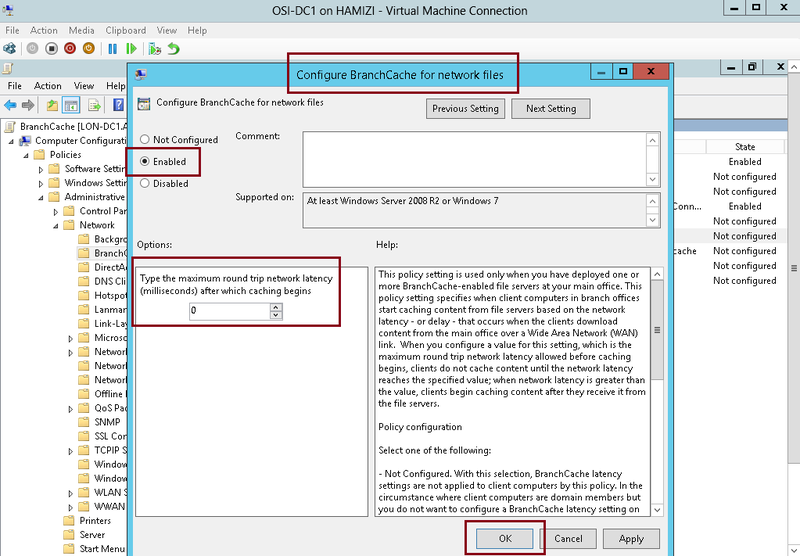 A branch office typically has slow connectivity to the enterprise network and limited infrastructure for securing servers. 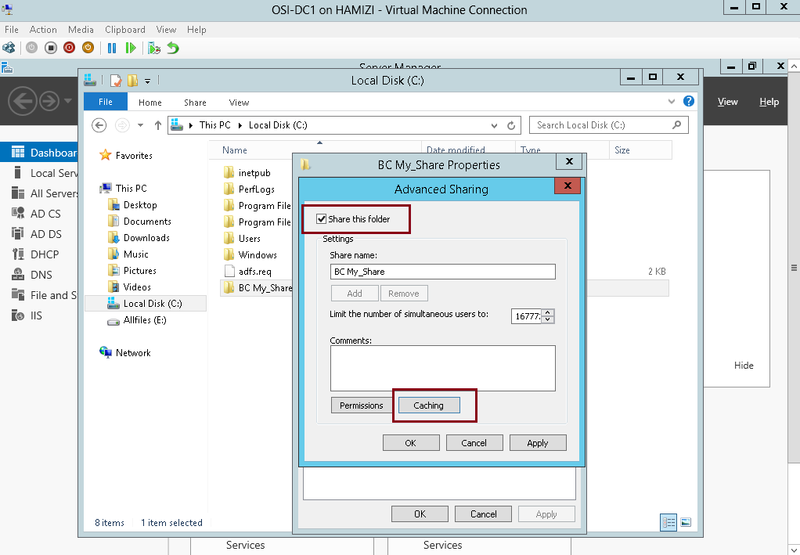 In addition, you need to back up data that you maintain in your remote branch offices, which is why organizations prefer to centralize data where possible. 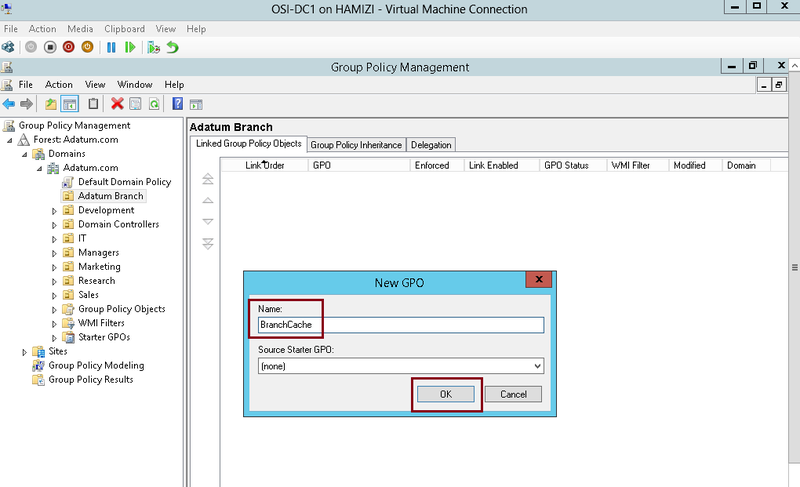 Therefore, the challenge is to provide efficient access to network resources for users in branch offices. 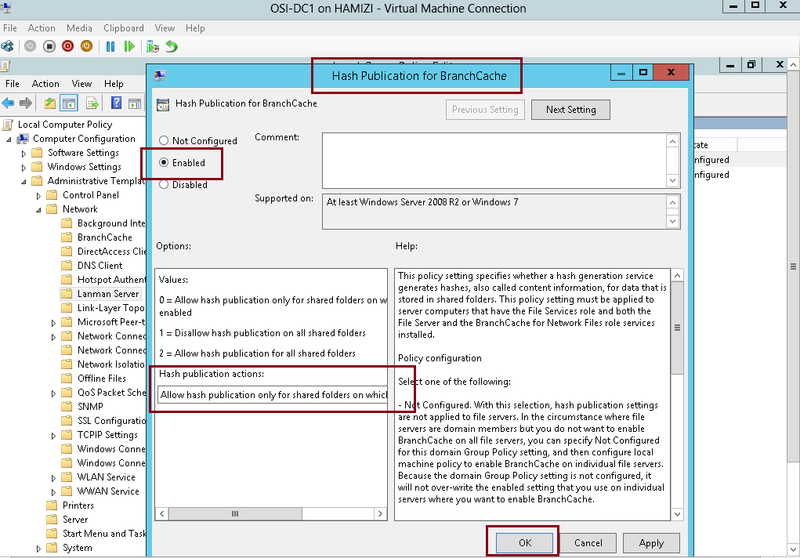 BranchCache helps you overcome these problems by caching files so they do not have to be transferred repeatedly over the network. 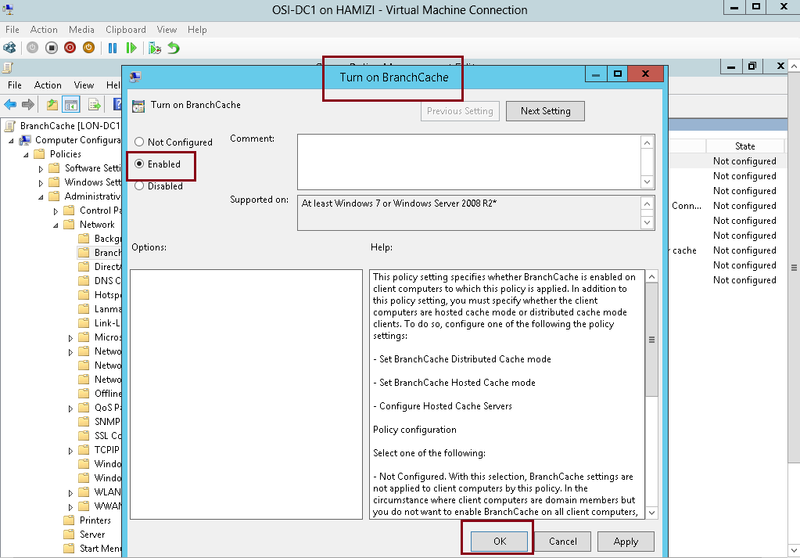 Because BranchCache does not require additional infrastructure, you can improve the performance of remote networks by deploying Windows 7 or newer client computers, and by deploying Windows Server 2008 R2 or newer servers, and then enabling the BranchCache feature. 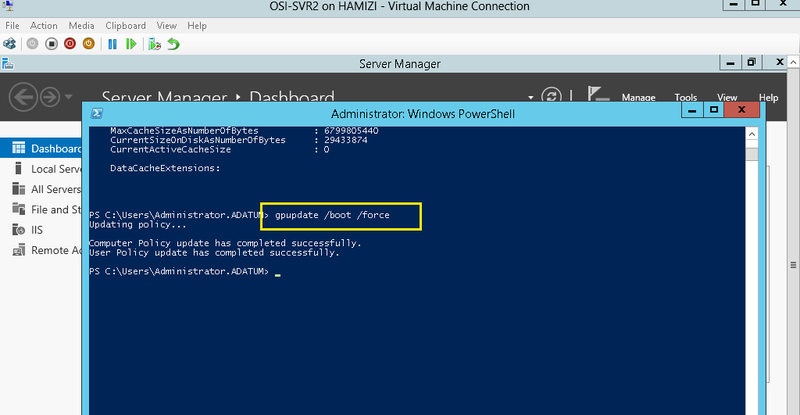 folders for which they have permission. 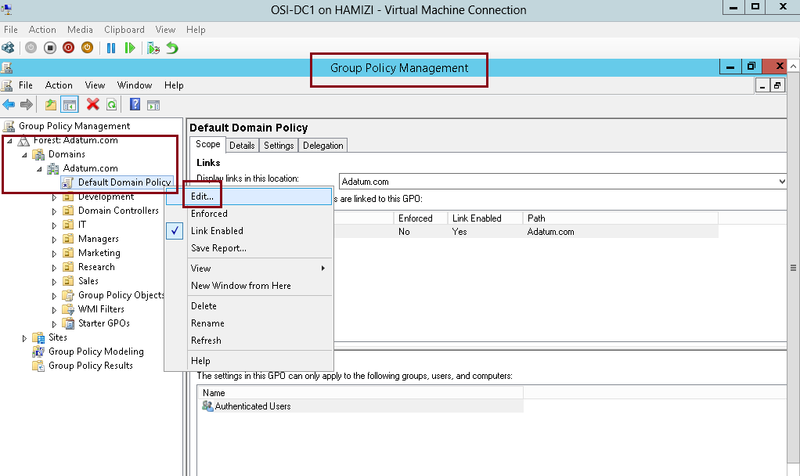 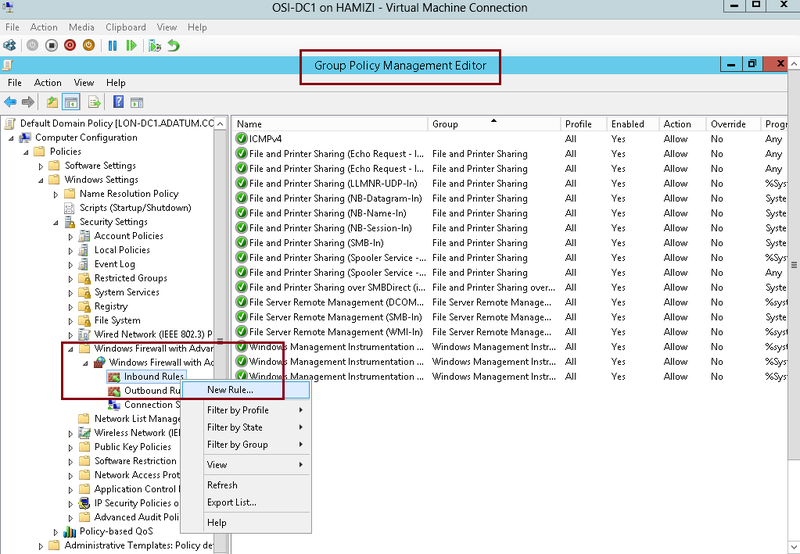 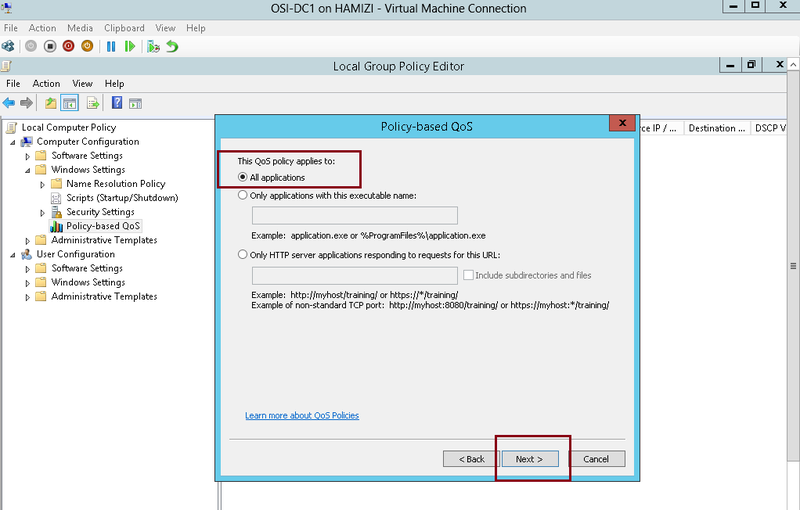 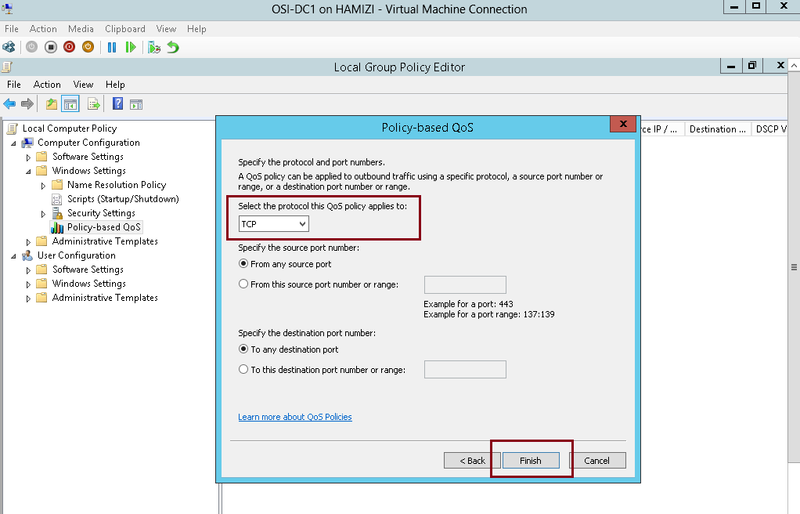 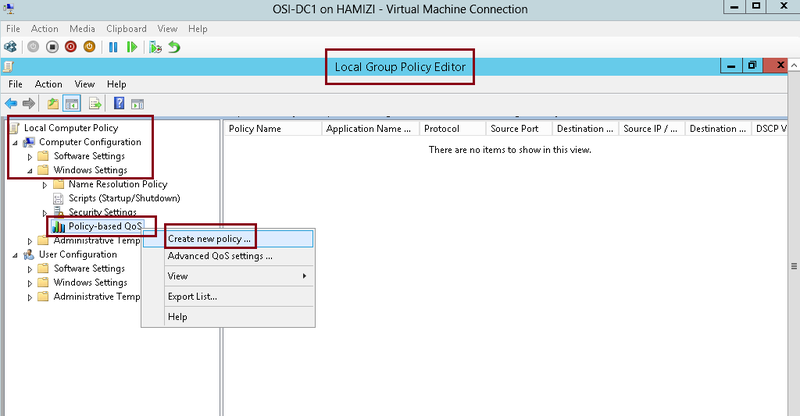 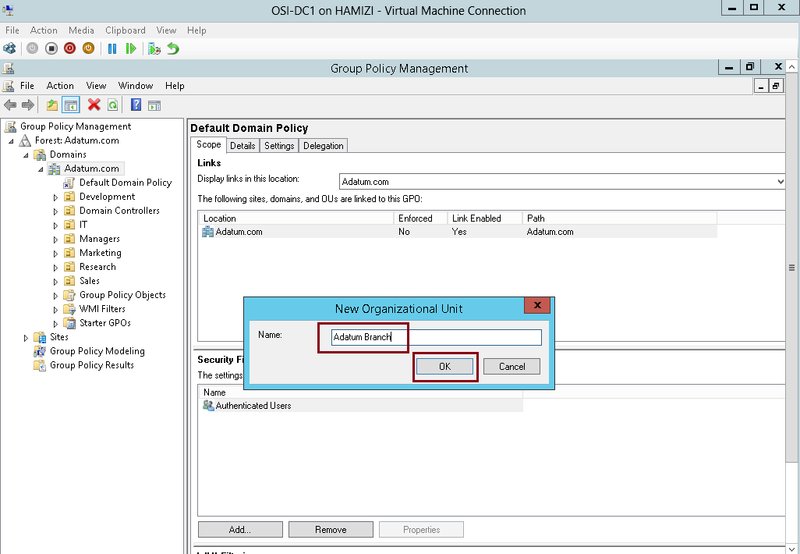 ** In the Local Group Policy Editor console, under Computer Configuration, expand Administrative Templates, expand Network, and then click Lanman Server. 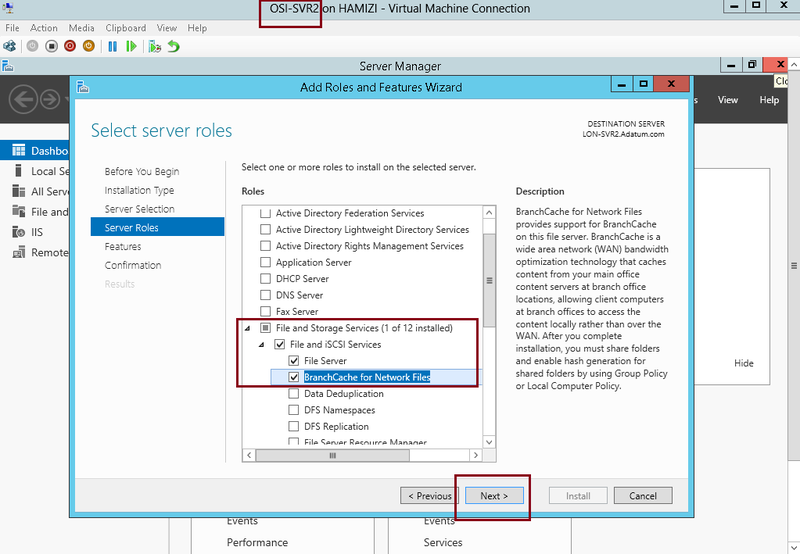 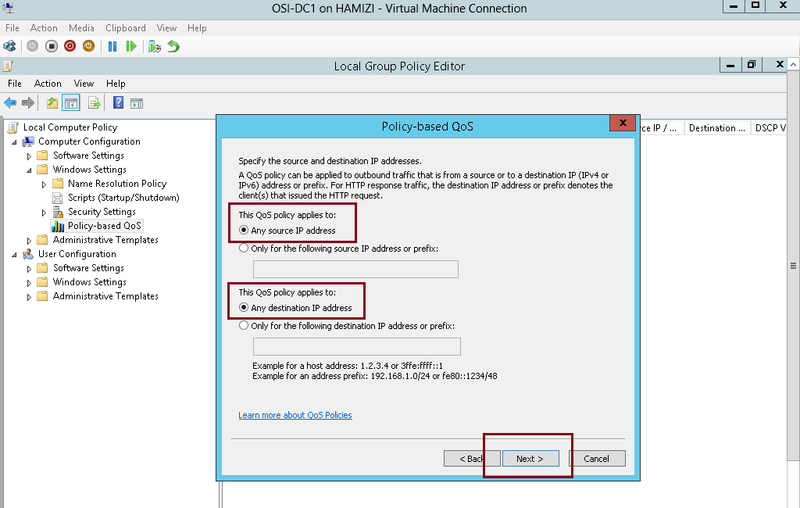 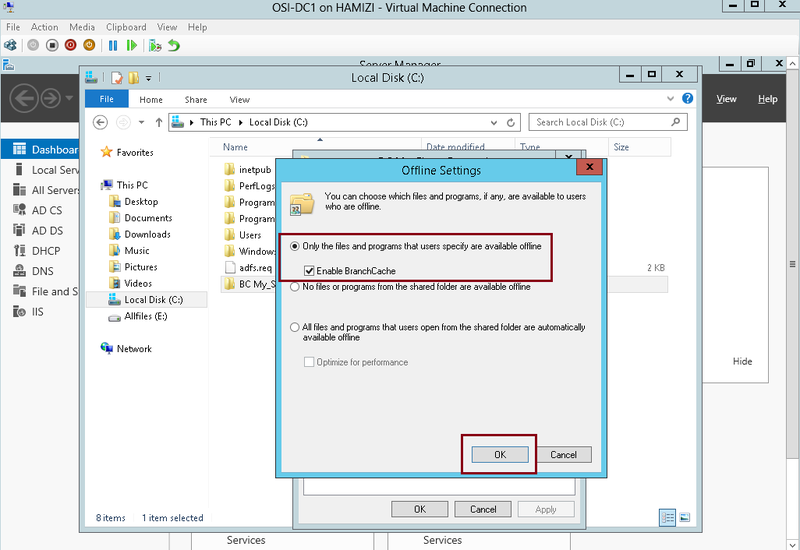 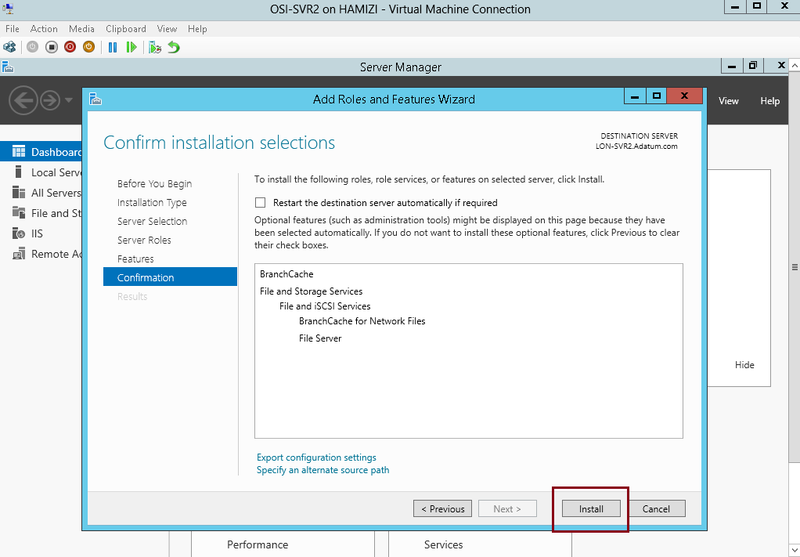 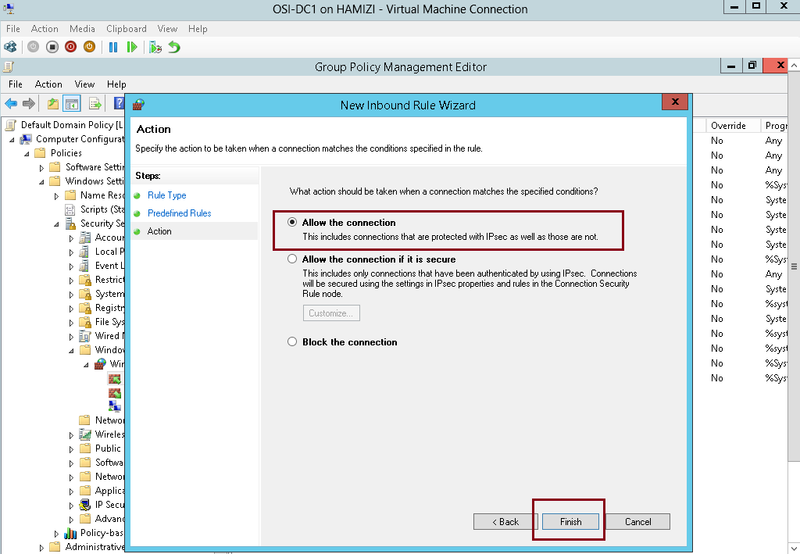 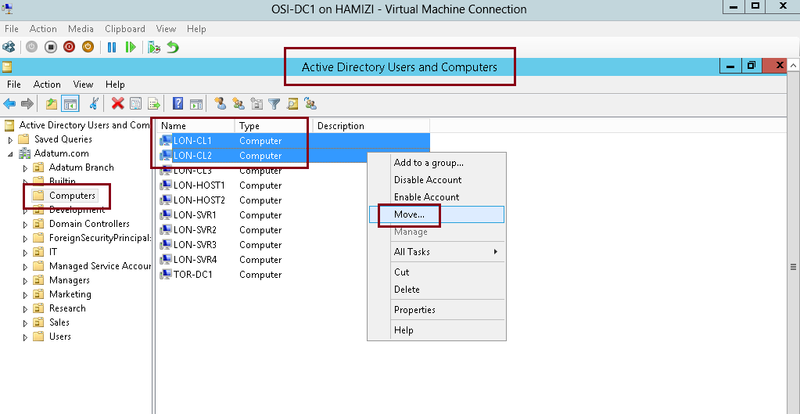 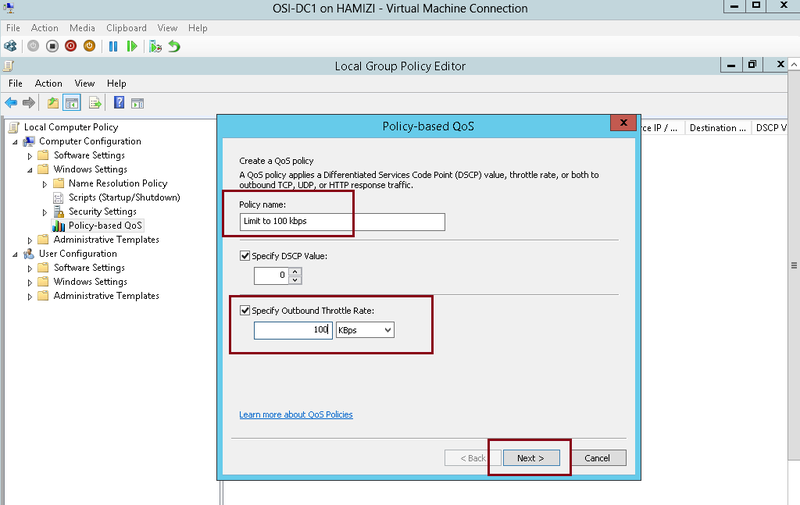 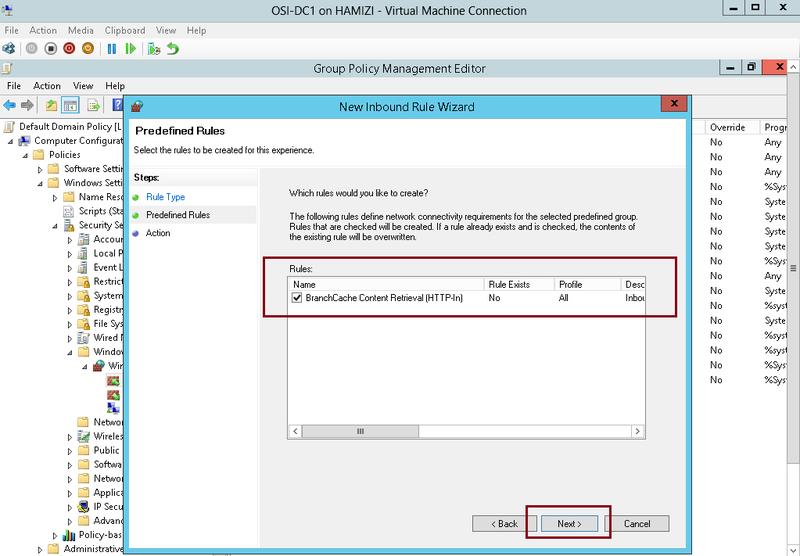 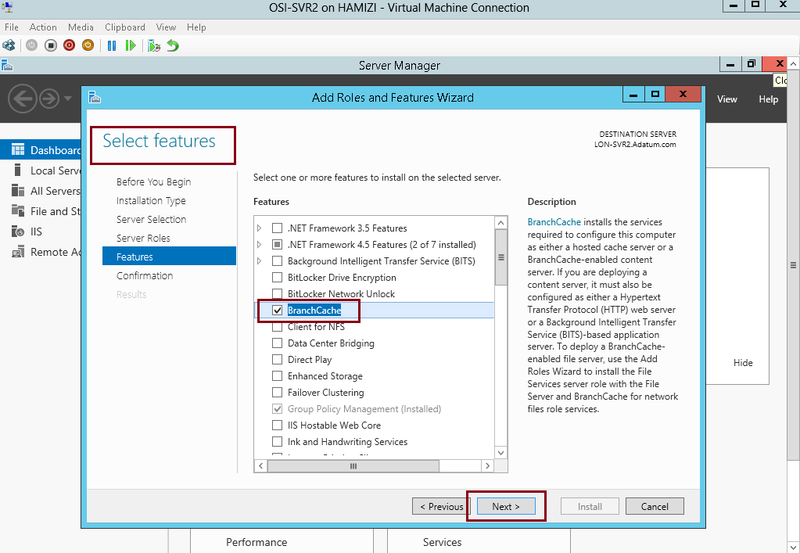 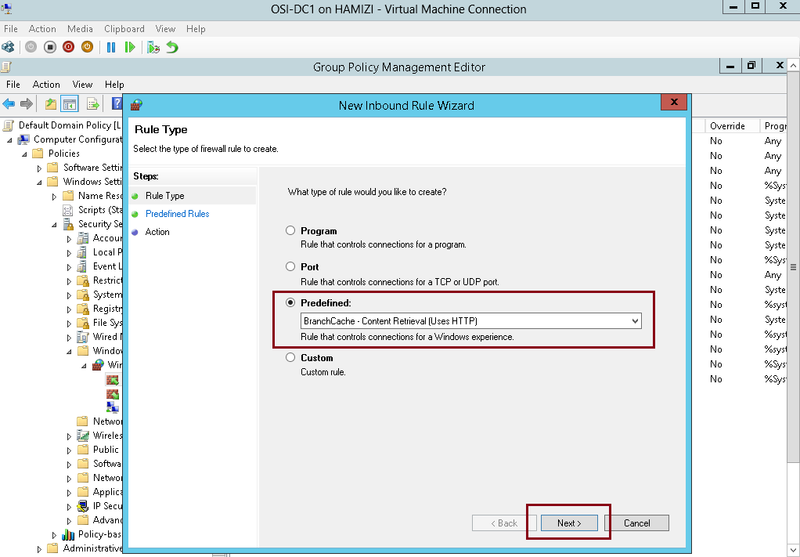 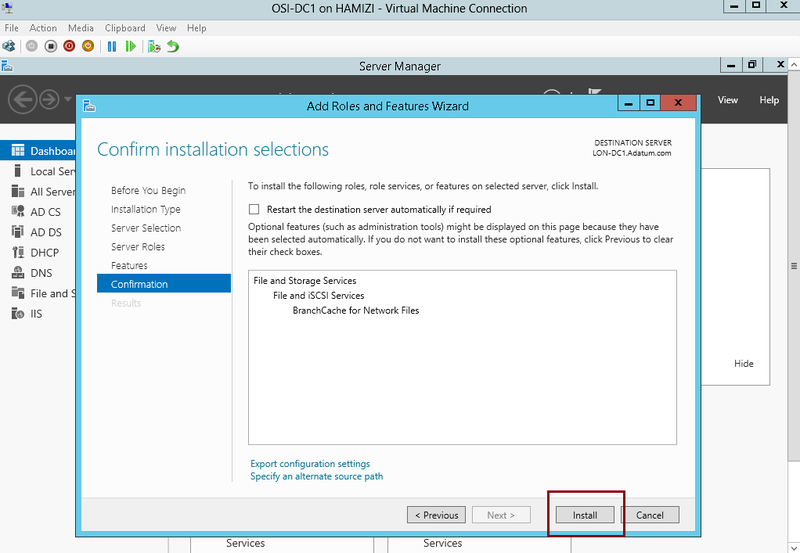 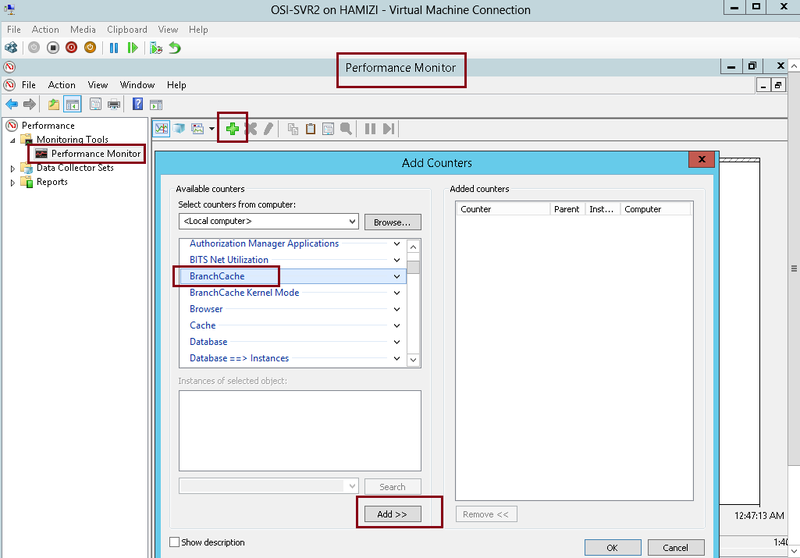 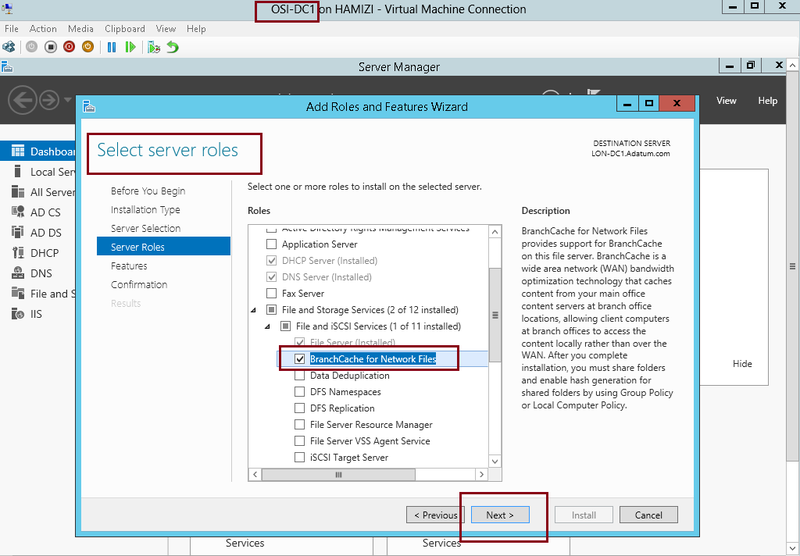 1 – Switch to member Server SVR2, open Server Manager, click Add roles and features and proceed installation to BranchCache for Network Files and proceed to Select Features…. 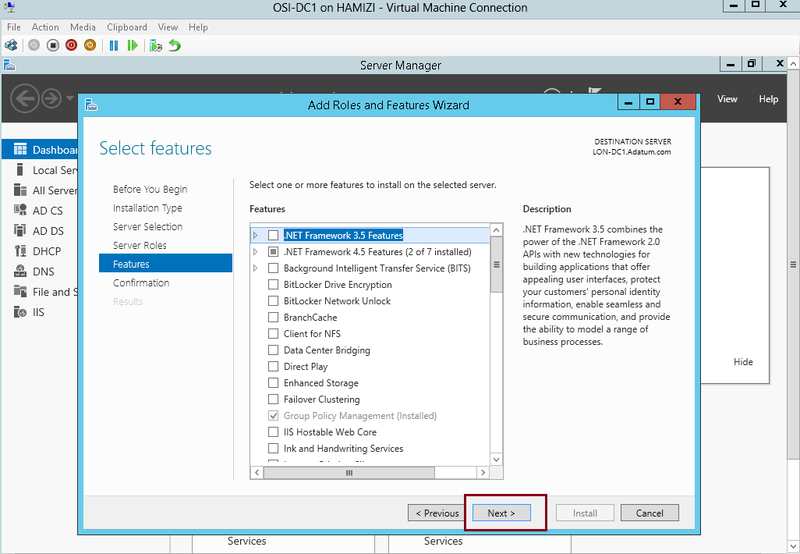 3 – On the Confirm installation selections interface, click Install, and then click Close…. 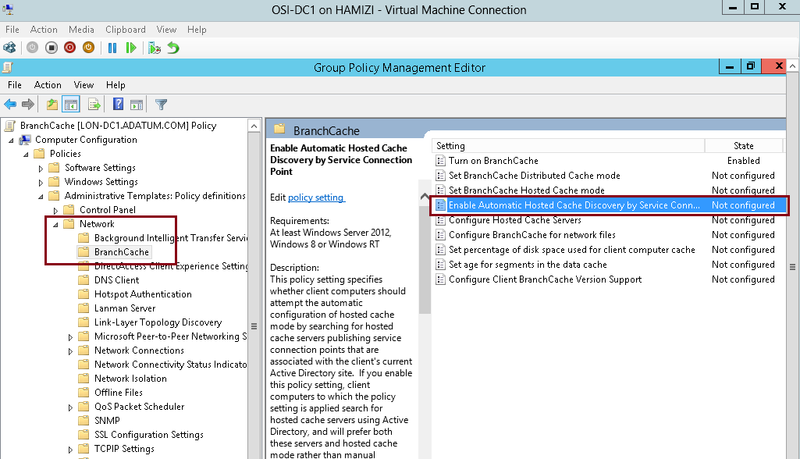 8 – In the BranchCache results pane, double click Enable Automatic Hosted Cache Discovery by Service Connection Point…. 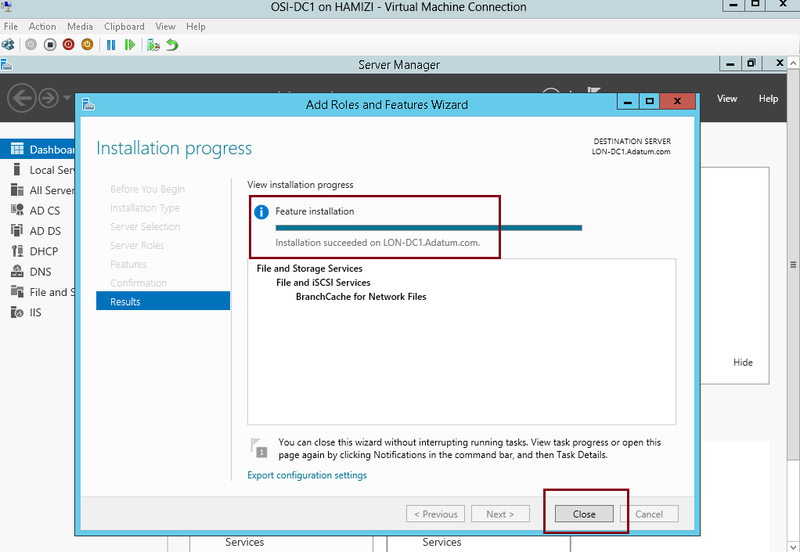 11 – In the Configure BranchCache for network files box, click Enabled, in the Type the maximum round trip network latency (milliseconds) after which caching begins text box, type 0, and then click OK.
** Verify that the BranchCache Current Status is Running. 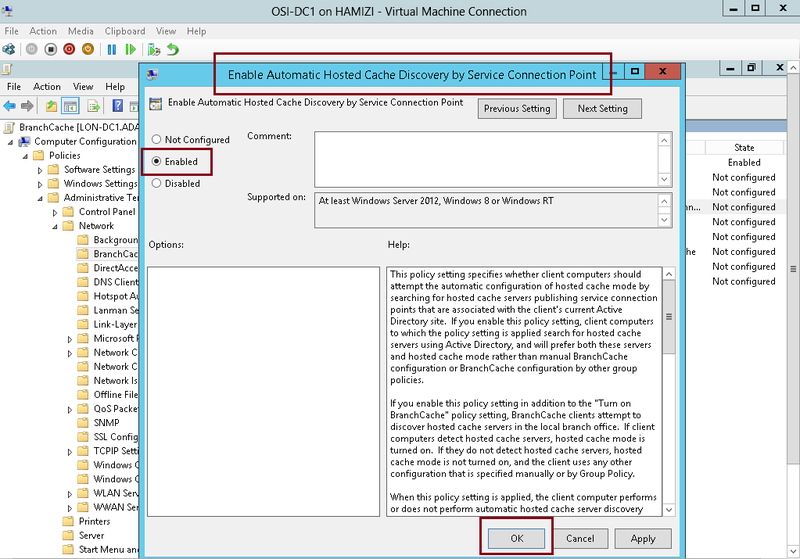 If the status is Stopped, restart the client machines. 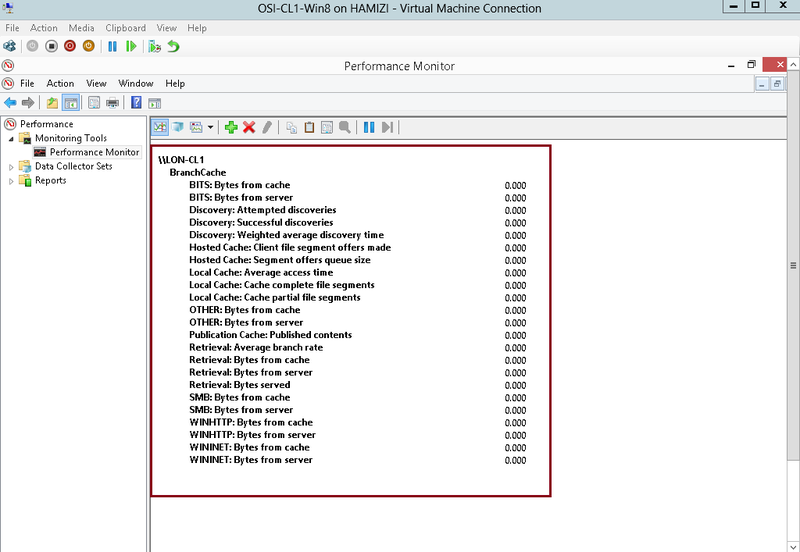 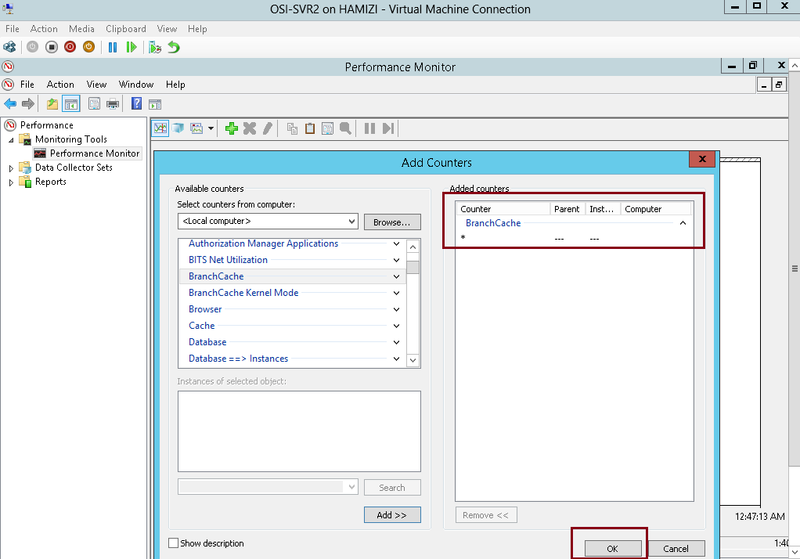 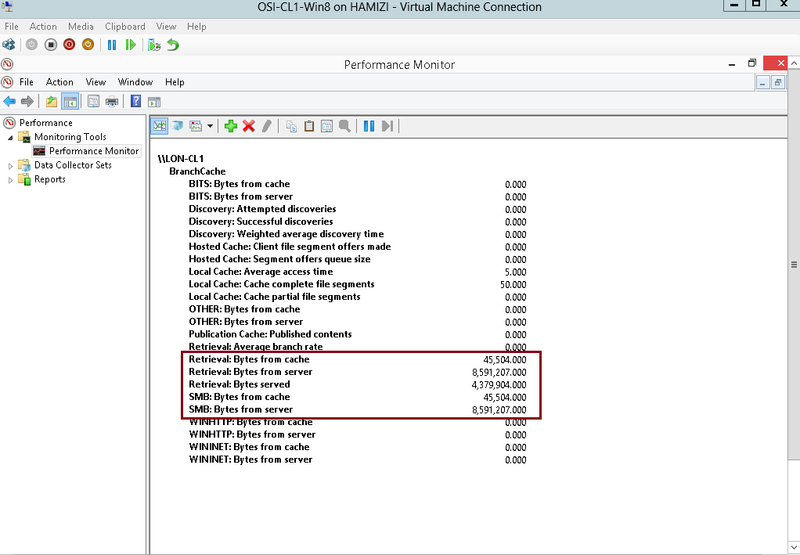 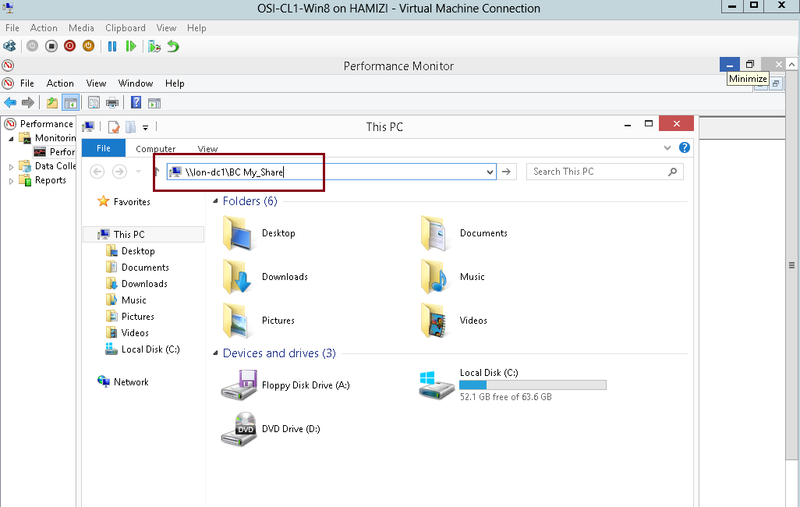 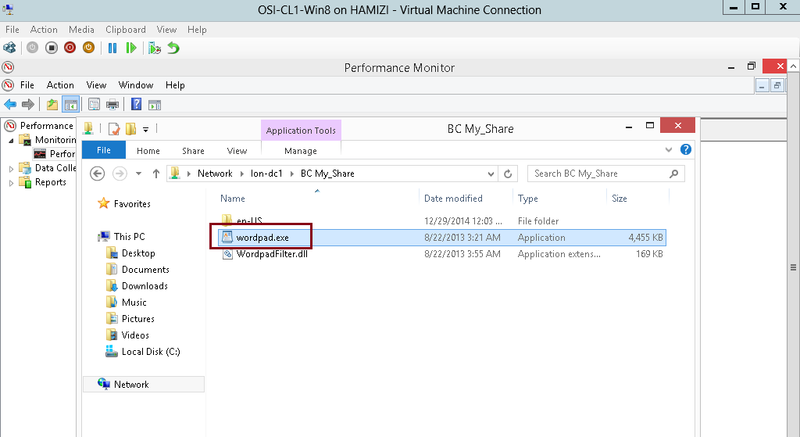 4 – Switch to Client PC, and repeat the step previously for Performance Monitor & add BranchCache…. 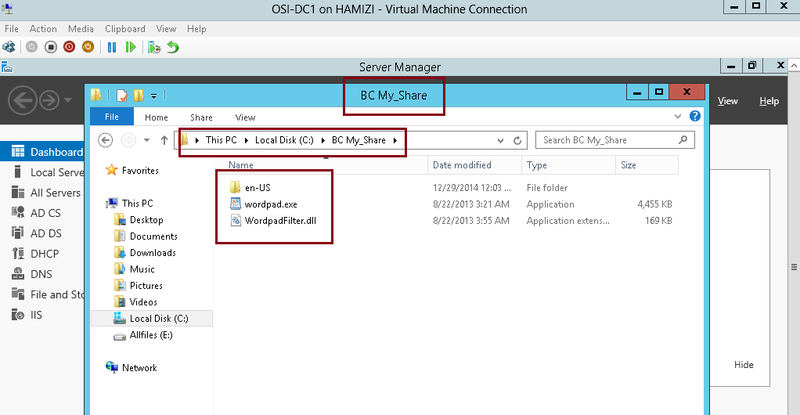 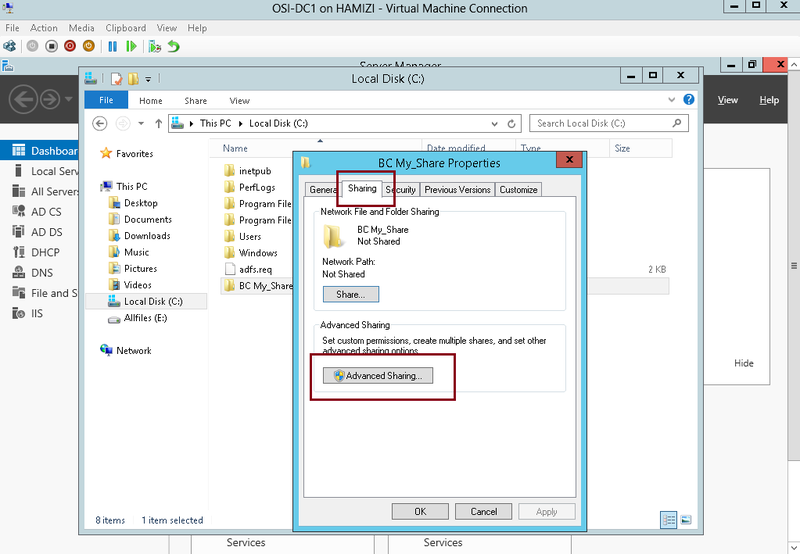 5 – Now lets the BranchCache, on the client PC, access to \\lon-dc1\BC My_Share folder…. 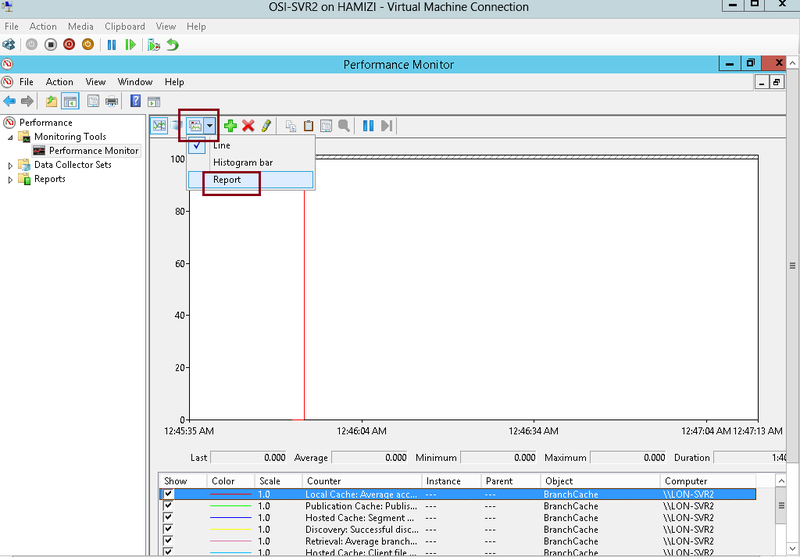 7 – Read the performance statistics on client PC. 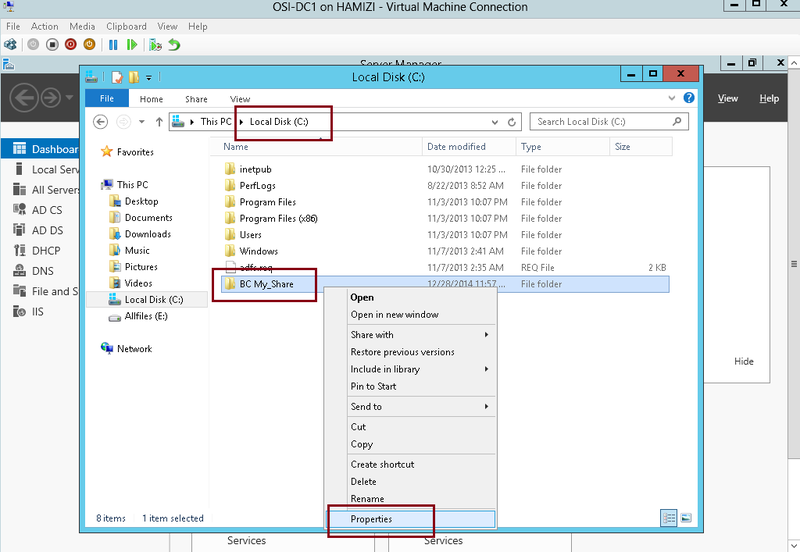 ** This file was retrieved from LON-DC1 (Retrieval: Bytes from Server).